A wonderful Oil Painting on board by the popular artist Christopher Osborne… Titled … Winter Morning at Litlington, Sussex. 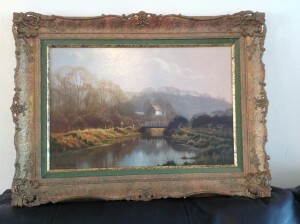 The painting is in very good condition and has a reasonable frame. Signed on the front and verso of painting… Frame Measurements are: 590mm. x 440mm. Ian Weatherhead (b.1932) – Original 20th Century Watercolour. 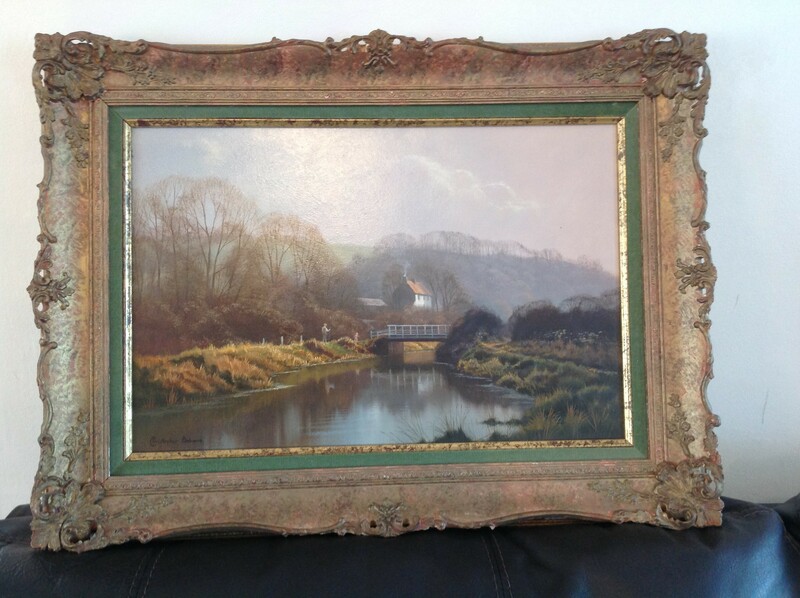 In a double mount and gilt frame. 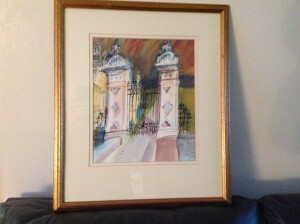 Signed and inscribed in the lower right and has a Wykeham Galleries sticker on the back of the frame. 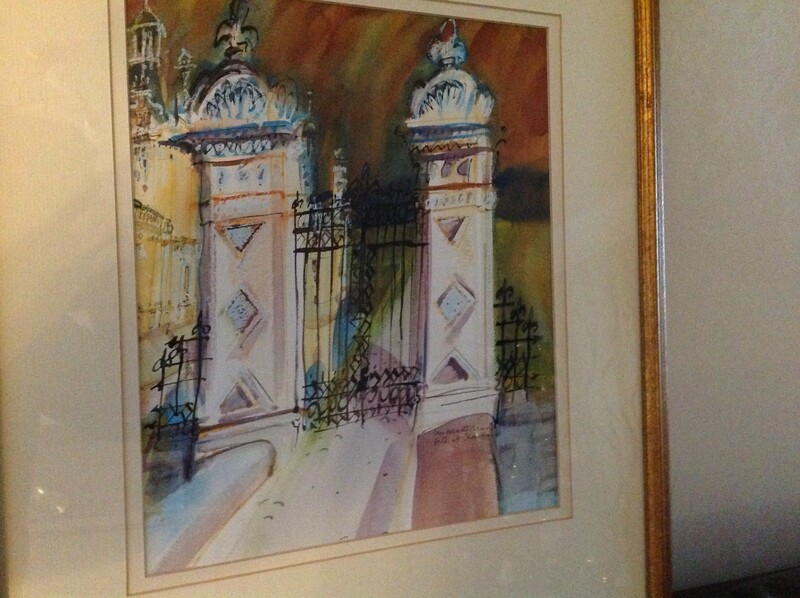 The painting is in good, fine condition… frame may have small scuffs and marks… Will email more photos if needed. 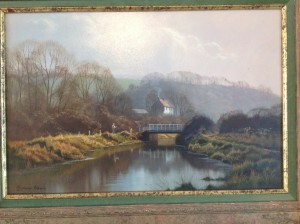 The painting will be packed carefully and sent by courier on a tracked and signed for delivery service, Mainland UK, only…. Another great painting from Colchester Fine Art..
Ian was born in Leeds, England and went to school in Yorkshire and then Scotland. Whilst in Edinburgh has was a pupil of “Willie” Wilson A.R.S.A., the Scottish stained glass artist, printmaker and watercolourist, the influence of Wilson’s work remains as strong to him fifty years later. Ian also acknowledges the influence of John Piper and Raoul Dufy. He studied architecture at the University of London and worked for some years on an archaeological mission in the Middle East. He lived for many years in Cheltenham, UK, before moving recently to Somerset UK where he devotes himself fully to painting. Ian’s paintings, more often than not architecturally based, combine an enjoyment of colour and a love of draughtsmanship. Beginning from a strong underlying structure, a number of preparatory sketches are developed using expressive sweeping pe rspectives. The composition is built up with washes of colour applied spontaneously and dramatically, giving each work a wonderful vitality and freedom. Inspiration for many of his subjects is drawn from travels in his home country and abroad. Particular favourites include harbours, buildings in their landscapes and humorous experiences. 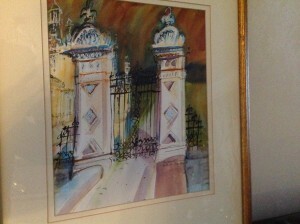 Ian Weatherhead won the Catto Gallery Award at the Royal Watercolour Society Exhibition in 1991. This prestigious award is awarded to newcomers. In 2003, Ian won St. Cuthberts Paper Mill award at the RWS 21st Century Exhibition at The Mall Galleries, London. His work is represented in many private collections around the world, including a commission for the House of Commons.